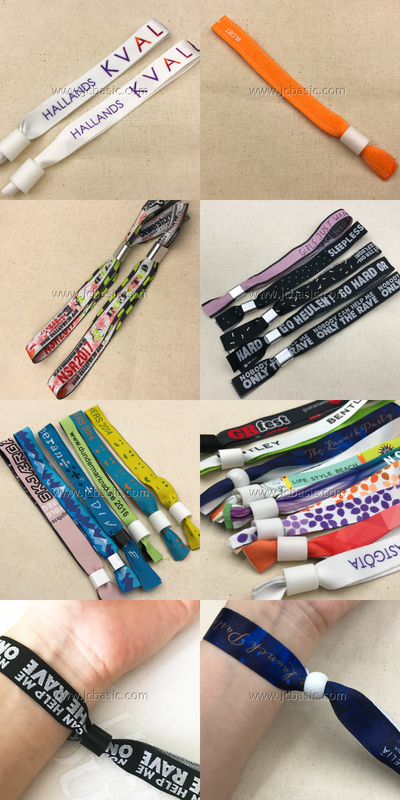 Cloth fabric wristbands have become the industry’s most popular way to credential your attendees, staff, artists and more. Let our in-house designers come up with a design concept or submit your own designs. 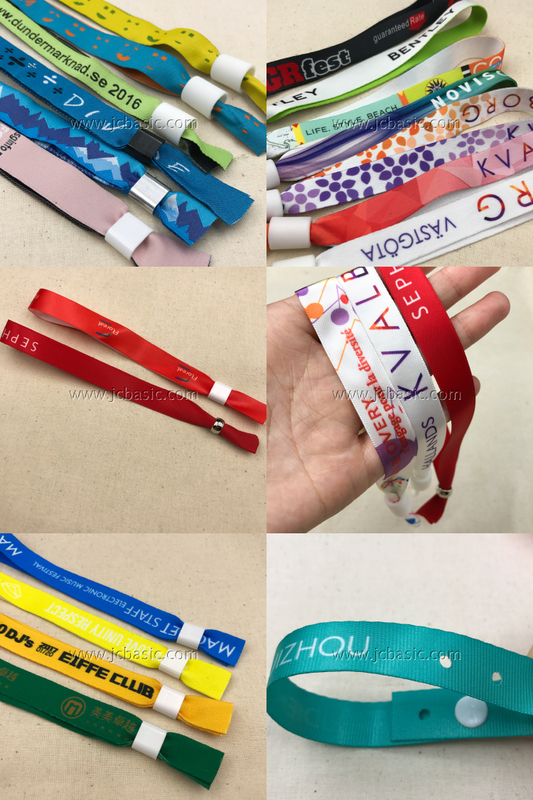 Custom fabric wristbands are great for access control and marketing, give your attendees something they’ll keep and remember your event forever. 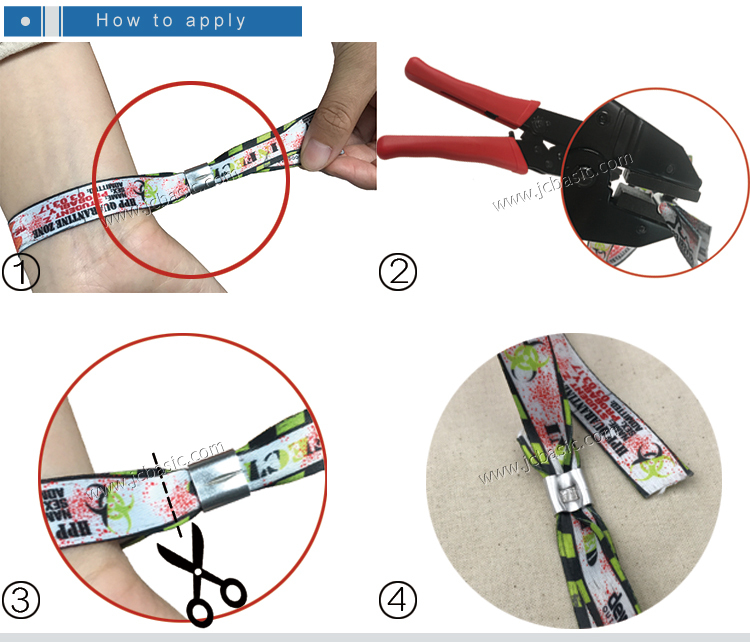 Our lanyards are high-end products. 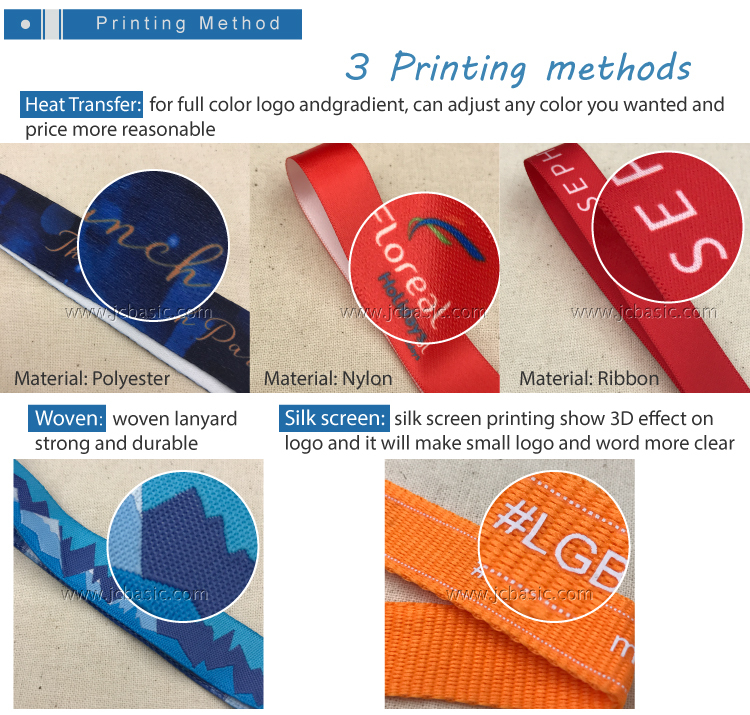 If you like to get your own design sample, we can send it to you within 5 days. 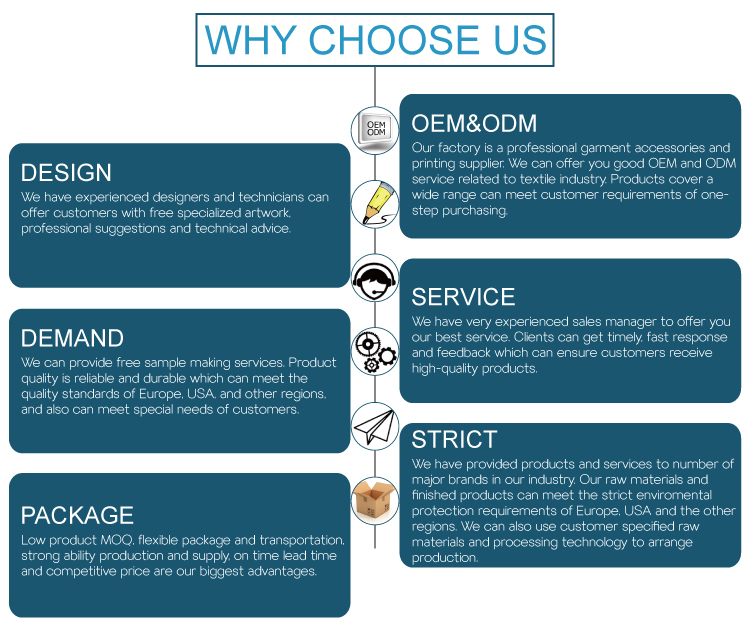 If you accept our existing sample, we can send you immediately, but shipping cost need to pay by you.Sample cost can be refundable if your bulk order quantity reach our request. 3. What kind of logo files do you accept for printing? PDF, Core Draw, Adobe Illustrator. We will make a mock for you to reference when we accept your logo. 4. What is your minimum quantity? 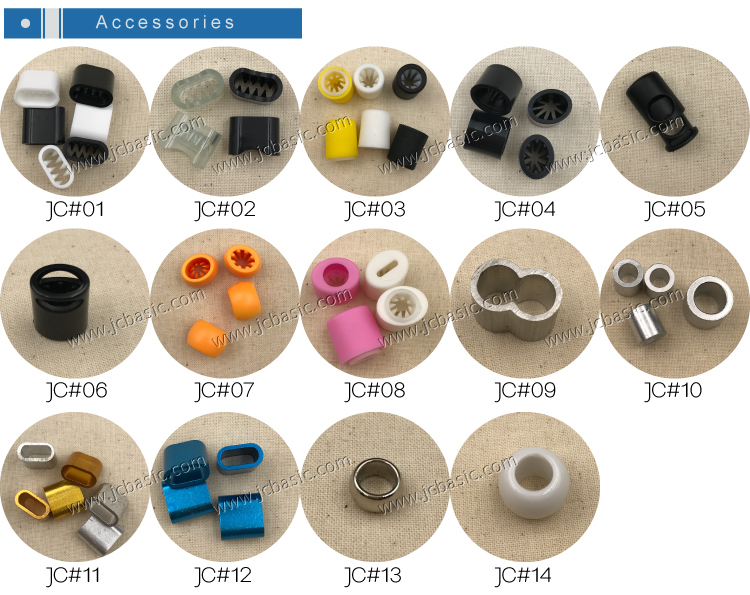 Normally, our minimum quantity is 500 pieces per design. Sometimes in order to meet client needs, we accept 100 pieces or more less. The more quantity you need, the more favorable price you will get. 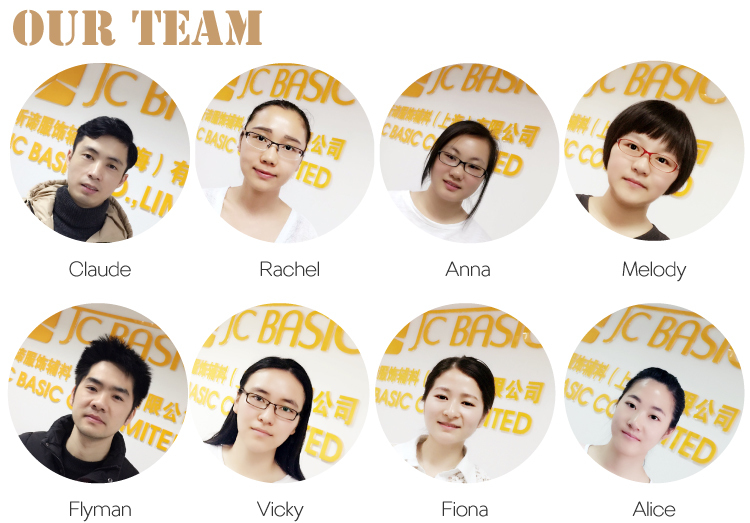 After you pay the sample charge and approval the layout, mostly, the samples will be ready for delivery in 5 days. 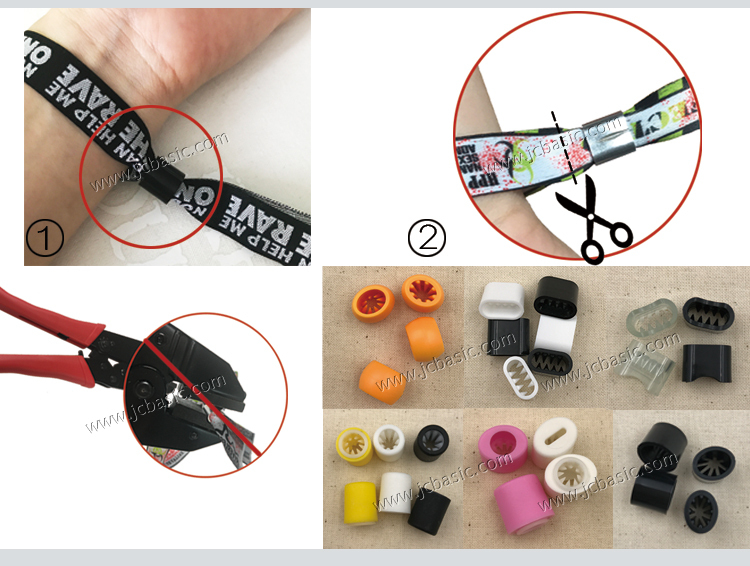 The samples will be sent to you via express, it is ok to use your own express account or prepay us if you do not have an account. Honestly, it depends on the order quantity and the products you need. 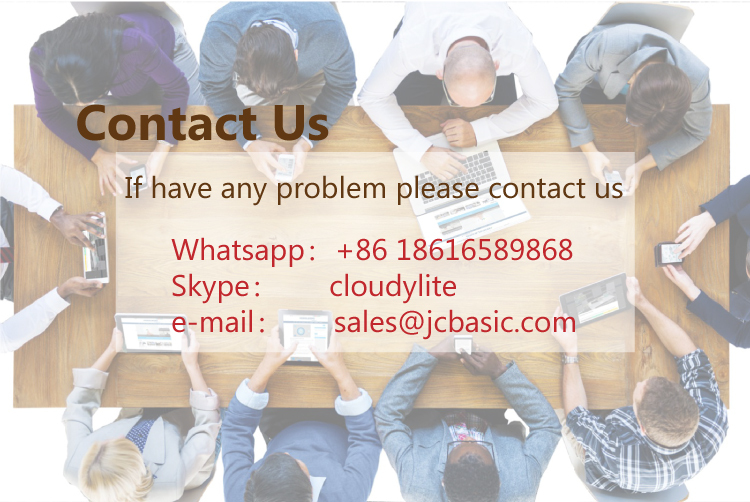 Generally speaking, we suggest that you start inquiry more one month before the date you would like to get the products. 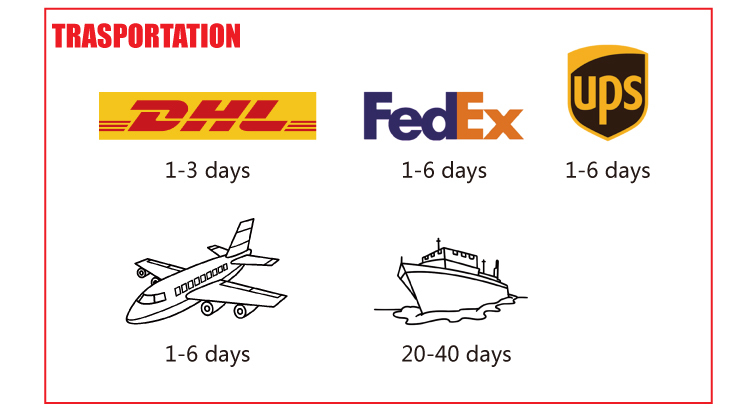 We accept UPS, DHL, TNT, Fedex or Air express etc. You can choose the one which is the most convenient or cost effective for you.